Frameworks are becoming more established within Public Sector procurement, as they represent a smarter way of purchasing, rather than going through a time consuming and costly tender for ‘one-off’ orders relating to recurrent contracts. They can, for example, optimise volume purchasing discounts and minimise onerous and repetitive purchasing tasks. What are the main Public Sector frameworks? For more information, download the whitepaper below. 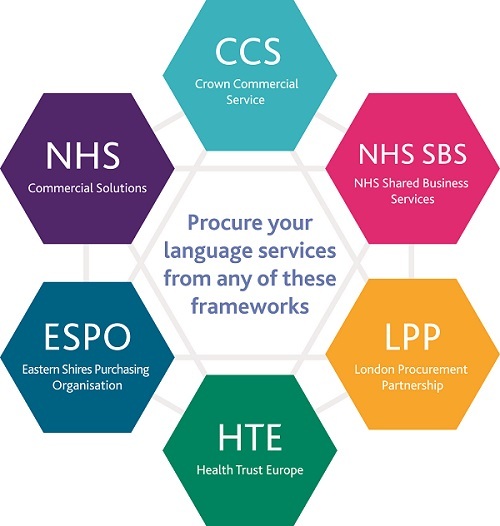 Of, if you’re a public sector organisation and would like to enquire about procuring our languages services, fill in the form below.